Simply use your skills and clue solving prowess unraveling 25 hints in order to win! You can always choose to skip the prizes and just play for bragging rights! Prizes are randomly put in play as new games begin. Follow clues posted around the internet (mostly this site and its affiliates) to win gifts associated with those leads. Get hints from yellow clue boxes on game pages at this site! INDIVIDUAL GAMES OFFICIALLY END APPROXIMATELY 60 DAYS AFTER THEIR OFFICIAL START DATES HOWEVER POTENTIAL WINNERS MAY BE NOTIFIED ONCE 100 PARTICIPANTS SUBMIT CORRECT ANSWERS TO FINAL QUESTIONS FOR EACH INDIVIDUAL GAME. See games list for start dates. Be amongst the first 100 participants per game to submit correct answers via goal–claiming–final–answer–forms in order to increase your chances to qualify for winning the prize or prizes related to each individual game. Winner selection will be based on first entries correctly answering ALL game questions applicable to each individual game and submitting their forms. Game finishing positions are based on the date and time each prize winning form is completed and submitted to the scavenger hunt site master. Whether 100, 1,000, 10,000 or more contestants enter each game, only the first 100 participants correctly answering the final question will be considered for the prize; thus, making odds of winning 1 in 100 or less depending on individual contest ending dates and the number of finishers answering ALL game questions correctly. Players must use the same name and email they sign up with when submitting game answers. ALL ANSWER SUBMISSION FORMS RANDOMLY LOCATED IN EACH GAME MUST BE SUBMITTED WITH CORRECT ANSWERS IN ORDER TO QUALIFY FOR EACH PRIZE IN EACH GAME! CONTESTANTS FAILING TO SUBMIT CORRECT ANSWERS TO ANY GAME QUESTION OR QUESTIONS WILL BE DISQUALIFIED EVEN IF HE OR SHE SUBMITS THE CORRECT ANSWER TO THE FINAL GAME QUESTION! Players must be 13 years old or older to win and claim prizes. The website owner has sole discretion in determining rule adherence and all site owner decisions regarding failure to comply with associated game rules are final. Entry into these trial contests are free and contestants may play for free; however signups are required for user verification as well as winning and claiming prizes. Since the total participation number is unknown and without estimate in these trial stages, players may help speed up game ending dates by encouraging others to participate. 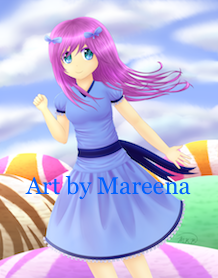 These games may continue even after prizes have been won to allow newcomers an opportunity to test their skill in reaching each finish line. Completed games will be so noted. Currently, winners may be required to pay shipping and handling charges for their winnings. This rule may be eliminated on a case by case basis depending on site owner's discretion and interest for individual games. Prizes will normally be shipped via the US Postal service via standard mail but may be sent via priority mail. Minor age players must obtain adult permission and assistance to fill in claim forms and submit shipping charges. Shipping charges must go through PayPal or be paid cash on delivery (COD) according to individual prize terms. Prizes not claimed within 15 days of winner notification will be deemed forfeited by the first place winner and passed on to the second place finisher. This same policy applies if second place finishers fail to claim their prizes within 15 days of notification. If necessary, this policy will continue in succession from one player to the next until winning prizes have been claimed. Winners are considered notified once email is sent to inform them they have won. Dates and times on sent emails will suffice as proof of winner notification. Winners must claim prizes by responding to winning notification emails and stating their shipping preference terms––PayPal or COD (when applicable). Use of robots or any other scheme or trickery in attempt to win these prizes is prohibited and thus will result in forfeiture of any prize or prizes claimant or claimants attempt to secure. These rules are subject to change at any time at the site owner's discretion in order to allow for unforeseen adjustments to keep the game fair to all players as well as to smooth out any bumps in the road as the games progress. Contestants––This scavenger hunt game is currently in Beta Trials but you can start playing now to see how it works! All players finishing the hunt will be added to the winner qualifying pool whether playing in beta stage or after the official on start of the game. This applies only to the first 100 players reaching the end of the game. This does not apply to contestants entering the game and finishing the game after the prize has already been distributed and the game moves in to the play for bragging rights only stage. To win this prize, click on the doll and follow the clues provided. Be among the first to find and submit the winning answer to qualify for the prize! 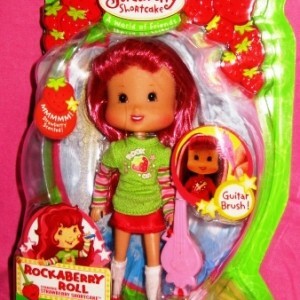 At the start of this contest, the regular price of this Strawberry Shortcake doll, located at PurpleToyShop.com, is valued at $28.50. Shipping for this prize is $5.00 and may be paid COD. You MUST signup to claim prizes! Your Age: How old are you? I am at least 13 years of age. I am younger than 13 years old. Bookmark this page to keep up with new game starts and prizes and follow @FindingToys on Twitter.